I think most women in the world have gotten criticized one time or another for the way they look, the clothes they wear or their make-up. For instance, I remember one time I wore bright blue eye shadow and a guy said to me, sarcastically, "Nice eyeshadow. Did a ballpoint pen explode on your eyelids?" I am ashamed to say it was years until I wore blue eyeshadow again. I am the kind of person who, if I received 100 compliments and one person made fun of me, I would focus on the negative comment. Five years ago, someone told me I had a weird looking nose. Why is it that this comment sticks in my head even more than people who may have called me "beautiful" since then? 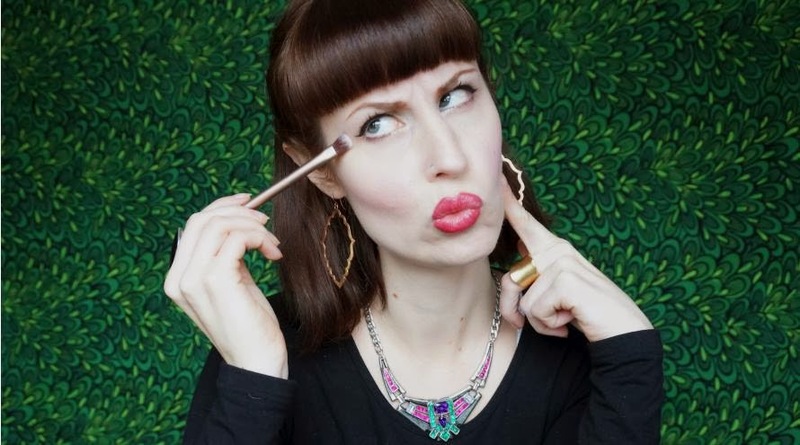 In these moments, I wish I was more like Alle Connell, writer and YouTuber for the beauty site xoVain. Alle has a unique style — wearing hot pink lipstick and bright outfits. And she definitely works it. Still, she gets her fair share of criticism from close-minded skeptics. But when "make-up bullies" criticize her, she doesn't wash off her lipstick or hide in a corner. Instead, in response, she's nice. When someone sarcastically says, "Nice lipstick," to her, she responds, with a big smile on her face — "Thank you!" What a great idea! I wish I would have done this! "Nine times out of 10, this will shut them up completely because the insult did not have the intended effect of making you feel small," Alle said. "Bullies and jerks run on making people feel powerless. If you flip the tables on them and show them that their attacks have only made you stronger, they're not going to know what to do." Being different is not something to be ashamed of. It's not something to be self-conscious about. Instead, it's something to be proud of. So, when someone tries to make you feel bad about yourself for this fact, don't let this diminish your self esteem. Instead, like Alle (who I think is such an inspiration), take it as a compliment.